On October 30, 1938, Orson Welles made his famous War of the Worlds broadcast. Since it was presented as a series of news bulletins, listeners thought that an actual alien invasion was in progress. People panicked. According to Annie Jacobsen, author of the new book Area 51: An Uncensored History of America’s Top Secret Military Base, this panic was observed with amusement by Stalin and Hitler. So who started this hoax, which is the top news on Google right now? Is this the first time such rapture craziness has happened? No, apparently rapture was supposed to happen in 1831, 1844, 1914, 1918, 1925, 1942, 1981, 1988, 1989, 1992, 1993, 1994, and now finally 2011. Now lets say for some reason, like for example, I don’t know, there is no movie called Return of Jesus Christ, rapture does not happen today, it can happen in 2060. The 2060 date cannot be absolutely, postively wrong because it was calculated by none other than Sir Isaac Newton based on the book of Daniel. At this point in time, survival of some ancient rock art may not be the most important item in Pakistan, but here it is anyway. 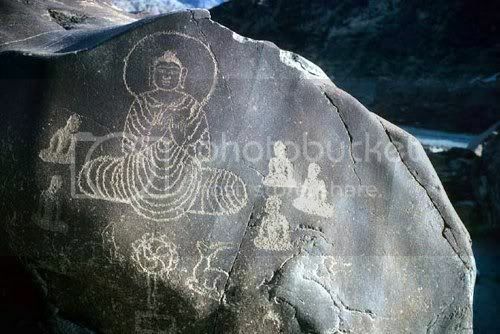 Due to the construction of the Diamer-Basha Dam, some 30,000 carvings and inscriptions will vanish forever. Maybe Werner Herzog should visit the place with this 3-D camera before this happens. We know that agriculture was invented about 12,000 years back in various places around the world, starting with the Fertile Cresent. Many models have been proposed to explain why humans left a foraging for farming. With the discovery of the 11,500 year old temple at Göbekli Tepe in Turkey, we also know that religion played an important role quite early in the settled life. Now we have new evidence of how people lived during that transitory period. The earliest permanent buildings found during this period were not individual homes, but places for communal living or gathering. Finlayson, Mithen, and their colleagues conclude that the evidence from WF16, combined with evidence from other sites, suggests that the earliest villages were not made up of houses, but rather communal structures where people came together to process their wild harvests and possibly also to engage in community performances. “These settlements appear to be all about community and not about emerging households,” the team writes, adding that this “ritualized community activity” might have helped to bring together the work force necessary to harvest the wild crops. The authors don’t speculate on where the farmers lived, and there is no way to be sure. Researchers working at similar sites have surmised that they lived in small camps near the central site, but such open air habitations are very difficult to find and often leave little or no archaeological traces. Many winter solstices back, a study compared certain parameters like life expectancy, infant mortality etc. of Kerala and United States and found they were equal. Thus it was concluded that Kerala is equal to United States. So the state assembly stopped debating mundane roti, kapda, hartaal issues and engaged in discussions of historical importance like if the final destruction of the library of Alexandria happened during the Muslim invasion in 642 CE. A new study, done exclusively based on news reports, suggests that Kerala is not United States, but Nigeria. Few years back helmets were made mandatory in Kerala and as usual we Malayalees protested. No words can express what high literacy combined with anger can do to a society than this picture or this. Recently Nigeria enforced helmet laws on motorcyclists and they protested in a way which would have made every Malayalee proud. In Kerala, everything is attributed to “western conspiracy”; in Nigeria, fear of voodoo. The story of the James ossuary continues. 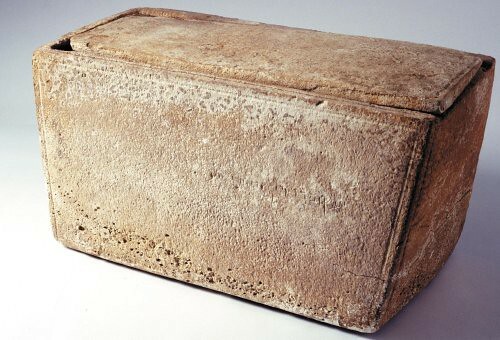 This limestone box carried an inscription “James son of Joseph, Brother of Jesus” and if it was proved to be true, could be historical evidence for one man named Yeshua (who may or may not be the one called Jesus of Nazareth). One school held that the man who announced the existence of the ossuary had faked it. Biblical Archaeological Review held the position that most scholars claim the ossuary is a fake, based on a hunch and not reason. After three years in court, the case collapsed. The battle is not over yet, but probably will be after 6 months depending on if the case against Tel Aviv antiquities collector Oded Golan is dropped or amended.